One of the few things that we love almost as much as beer and cider here at the Sally is cheese. Being based in Berkeley we are also steeped in cheese-making history with the town once famous for being the cheese capital of the county (Double Berkeley anyone?!). Given this, we’ve decided that we need to celebrate, nay worship, our favourite booze accompaniment on a monthly basis. Ladies and gentlemen, may we present to you The Sally Cheese Club! Our resident cheese connoisseur Jerry (no, not a cartoon mouse but actually a cheesemaker for the legendary Jonathan Crump) will take all you fans of fromage through a hand-picked selection of world cheeses that would make Wallace and Gromit wet themselves. 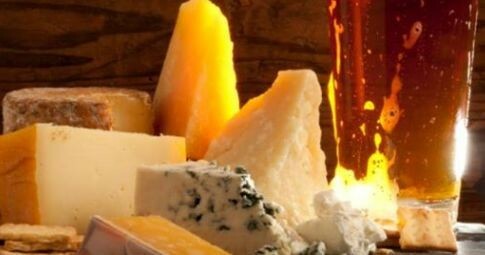 Jerry will be pairing each cheese with a sample of perfectly paired beverages from some of the world’s finest beers and ciders and some alright wine as well. Sally Cheese Club will run on the last Thursday of every month starting at 7.30pm . Tickets are £14 each (available to book in advance now from the bar) and include a selection of and introduction to six different cheese and drink pairings from our man Jerry. This month Jerry will be talking us through our own Westcountry cheeses. World-famous for it’s cheddar and Gloucester, the Westcountry has paved the way for a revolution in modern British cheese-making. From traditional farmhouse makers with international reputations to dedicated cottage industry cheesemakers, you will sample a diverse range of styles of the very “best of the west”, each expertly paired with a beer, wine, or cider.